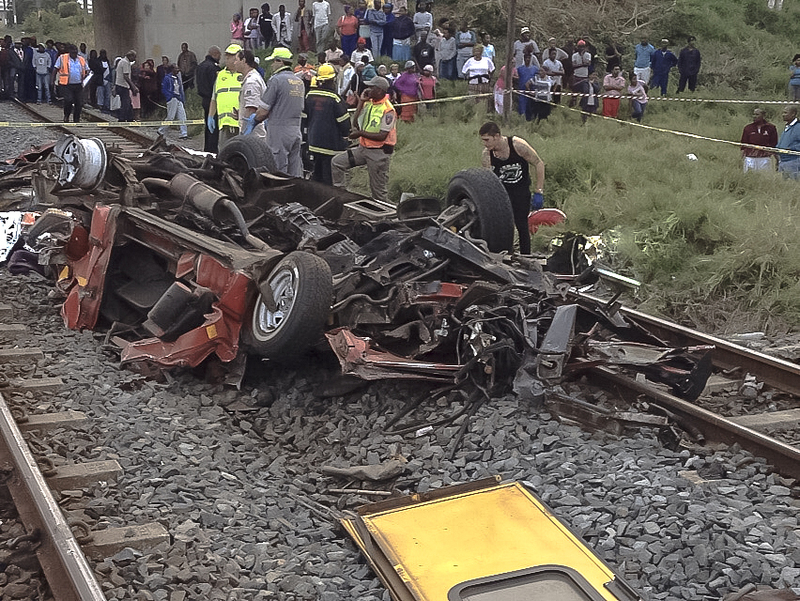 A taxi that breached a road barrier before being demolished by a train, killing 15 people, was so unroadworthy that it should never have been on the road. Yet, according to KwaZulu-Natal’s transport MEC Willies Mchunu, the taxi had a certificate of roadworthiness from Gauteng, even though the brakes were non-functional, the speedometer did not work, the gear box had “perished” and the u-bolts holding the axle were loose. Fifteen people were killed in the taxi, when it was struck by a train on August 17. Indications were that the taxi took the offramp on the N2 near Shaka’s Head, shot through a stop street and then went down an embankment, landing on the railway tracks before being struck by a passenger train. Addressing the legislature in Pietermaritzburg on Thursday, Mchunu said that road engineers had visited the site and could find no visible indication — such as skid marks — that the taxi driver had even been able to apply the brakes. Mchunu said the litany of problems found on the vehicle had been reported by a private investigator looking into the crash. “The investigator concluded that the braking system was in an unroadworthy and dangerous condition,” said Mchunu. He also confirmed that the taxi had been overloaded with 21 people, when in fact it was only certified to carry sixteen people, including the driver.